What would the future of sport fishing be without old men on the sea? When Capt. Albert Stinson–Cuz–takes five ladies and a dude out into the Gulf on their first fishing adventure, they are in for a reel treat. 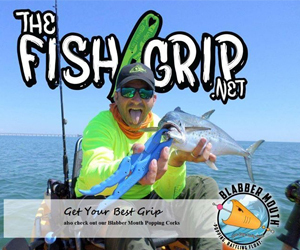 Cuz is a colorful skipper who manages over the course of six hours to pass along a rich culture and history of fishing off Orange Beach, Ala. The group includes Co-captain Shawn who has his own special relationship with the boat. He and Cuz work well as a team; Cuz frames the whole experience with history while Shawn trains guests and viewers on professional aspects of recreational fishing. In so doing, Charter Kings offers an educational video that includes awesome moments that suggest this job never gets old for those with salt in their veins. On a cloudless day, Jus Cuz brings on board an abundance of fresh catch–mingo, lane snapper, amberjack, “A Big Ugly,” triggerfish, and squirrel fish (Rock Bass), properly releasing out of season red snapper. It is a productive day to say the least fishing in the “Gawlee Hole,” a plentiful spot that Cuz has in his memory bank. Starting out bashful, the ladies soon warm up to the game, catching their fair share and marveling at the ocean’s bounty. By the time they have caught one or two small fish each, they have traded nervous flinches for genuine smiles. Meanwhile, Guest Willie and the crew grin from ear to ear alongside the best catch of the day–a 72 inch long, 90 pound Wahoo that put up a real battle on the line. Cuz himself seemed surprised at the defeat of the big fish. He counts it a successful day when “folks that never been” not only catch “a big somethin’ or ‘nother” but have a good fishing experience.